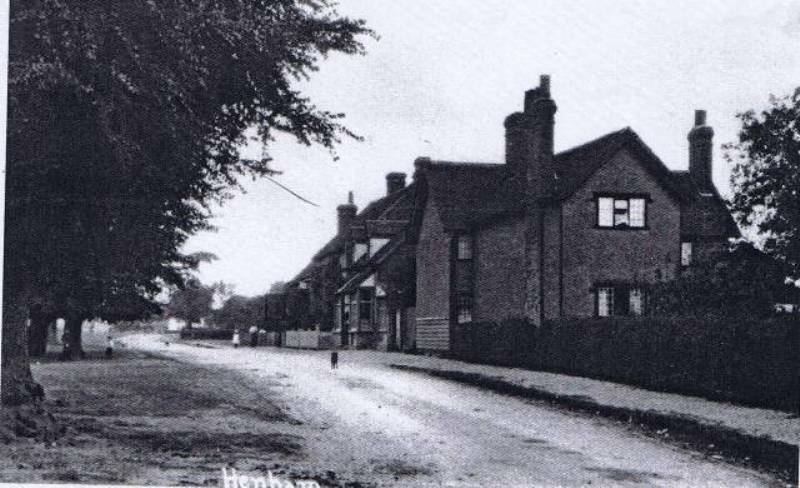 High Street, Henham. The second house on the right (now called 'Haydens') was owned by Frank Wright the cobbler and this was where he had his shop. 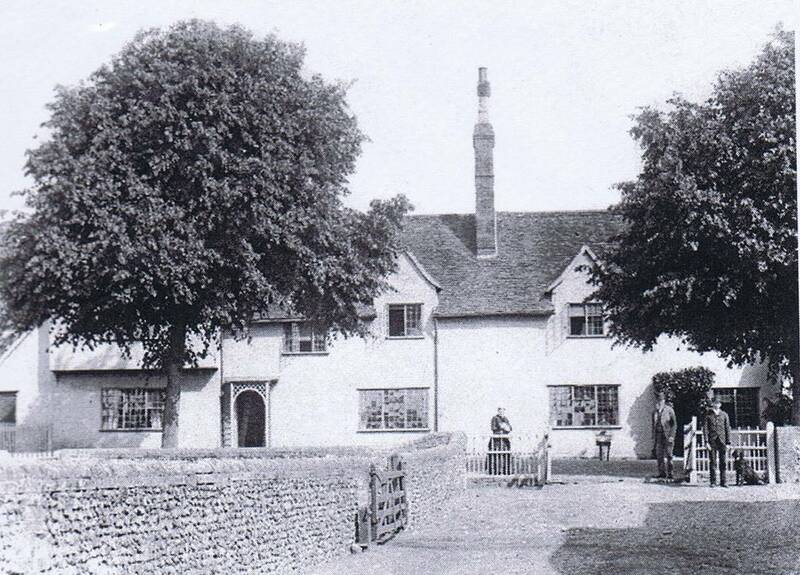 He also owned a piece of land opposite his shop, which is why the close which is there now is called Wright's Piece. Mrs Stent in her garden at Peddars Way. 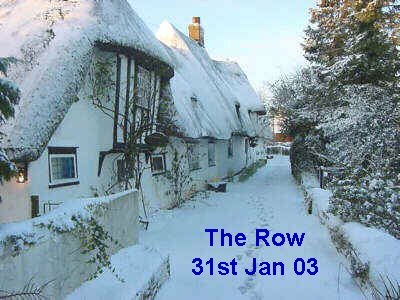 She lived in the right-hand side of the cottage and Mr & Mrs Savill lived in the left one. It was Mrs Savill who named the house 'Peddars Way'. Mr Savill set fire to the thatch one day when he had a bonfire in his garden which is why it is now tiled. 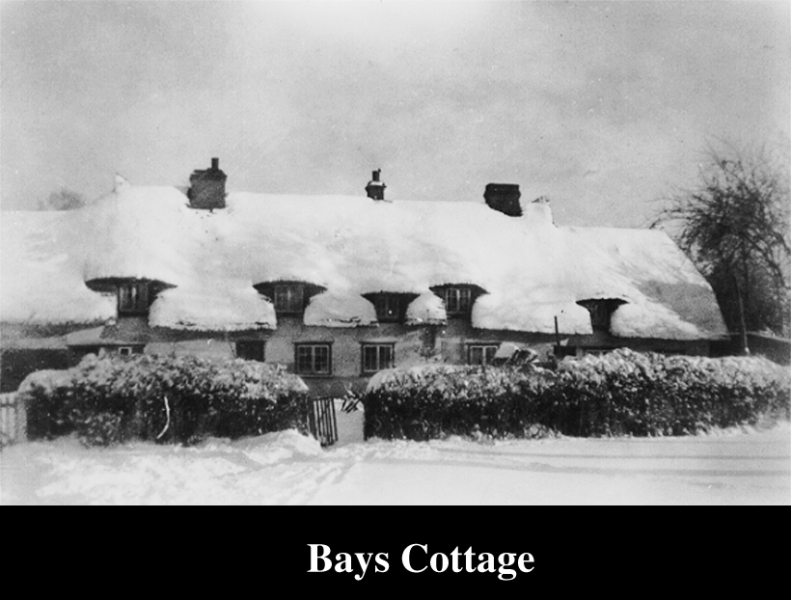 These cottages are now one house. 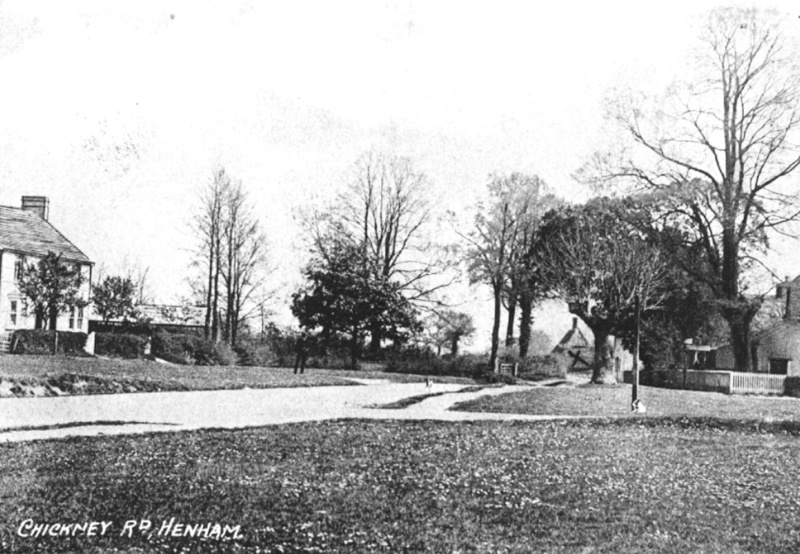 Chickney Road c1911. 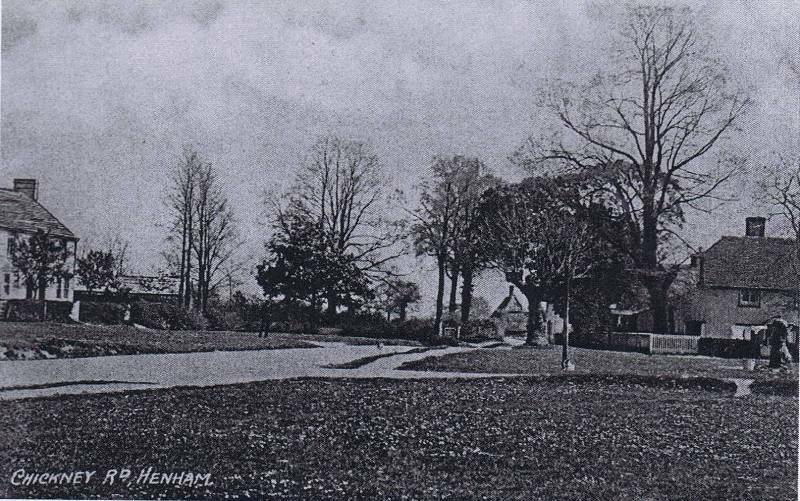 On the right is Pleasant Cottage. If you look carefully you can see, attached to the side of the cottage, a corrugated roofed section which used to be a shop. This shop was first run by Bertha Endersby, then by the Mussell family. On the green in front of the cottage is a water pump with a bucket waiting to be filled. 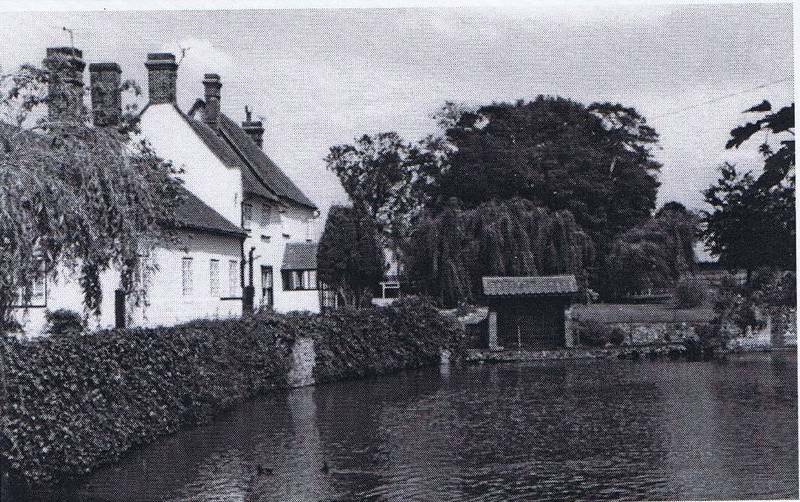 Henham Lodge in the 1950s. An early 17th century building, with parts of the house dating back to the 1400s. 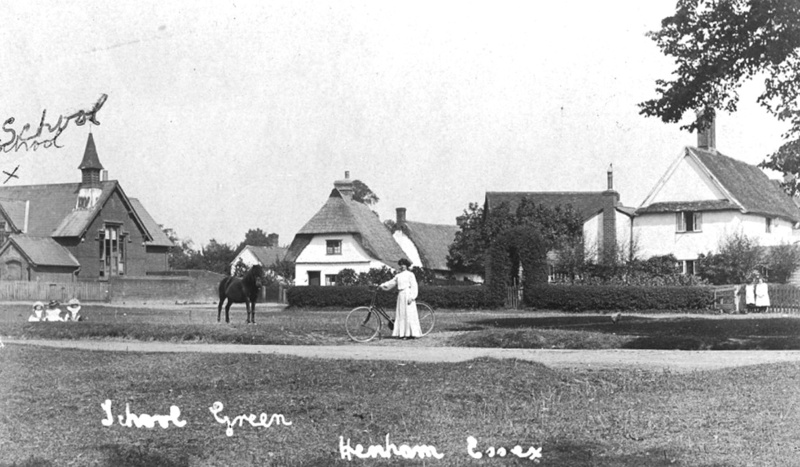 It was on a Lodge Farm field that the famous 'Henham Dragon' was supposedly last seen. 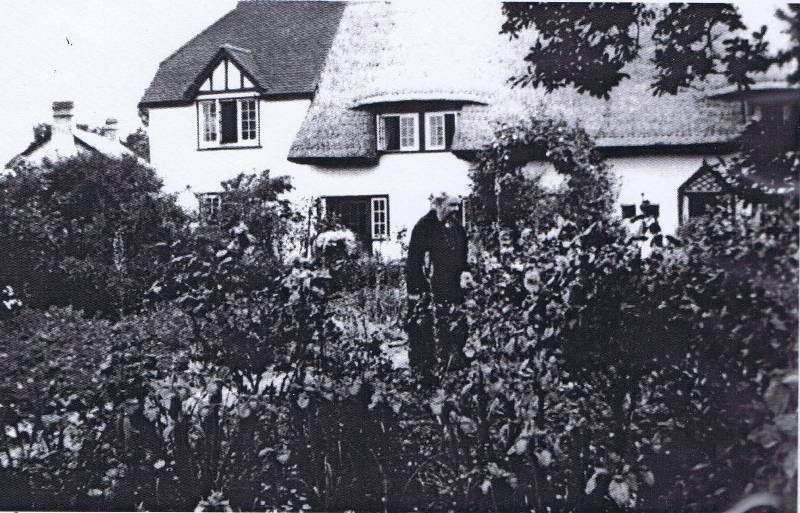 In 1946 when Jim Smith bought the 500 acre farm he employed 14 men. By 2001 there were only 2 men. 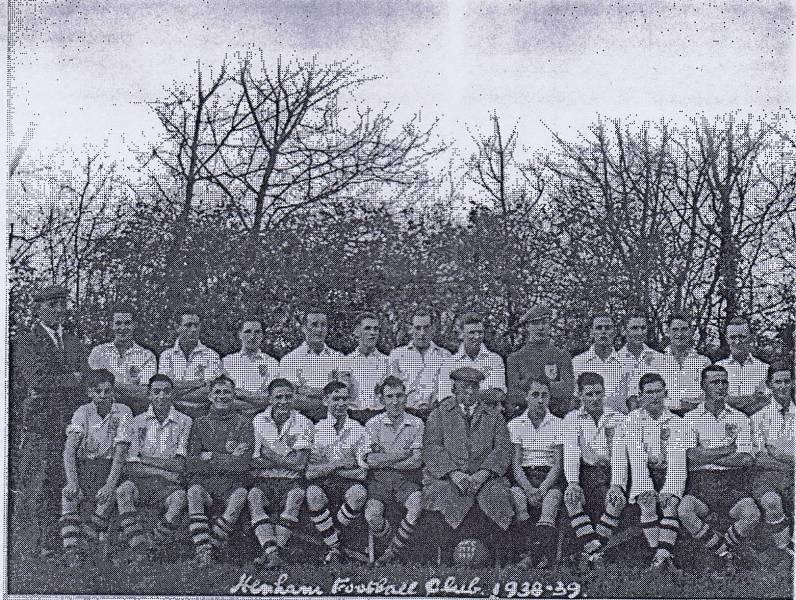 Henham Football Club 1938-39. 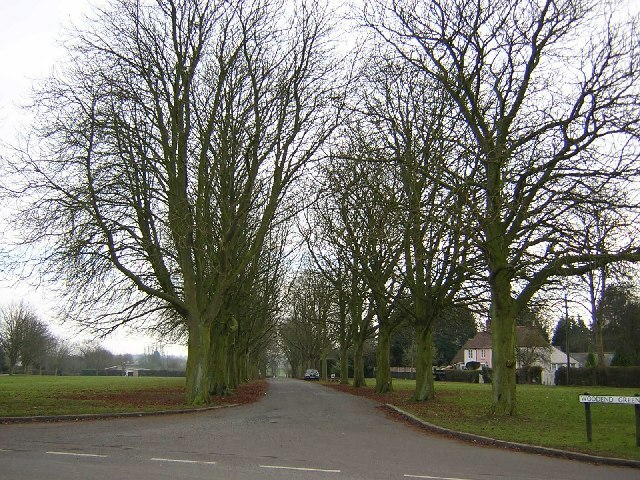 The team played on the field behind the council houses in Mill Road. It was lent to them by John Pimblett, of Parsonage Farm, who is seated between the players in the middle of the front row. Back row from the left: Eric Gray, unknown, Percy Snow, unknown, Ted Lindsell, Fred Clayden, Harry Shoebridge, Bert Vaughan, Norman Foster, Bob Wellington, Sid Vaughan, Jim Power, George Willet and Clifford Smith. 1955 - the first time Henham won the 'Best Kept Village' award. 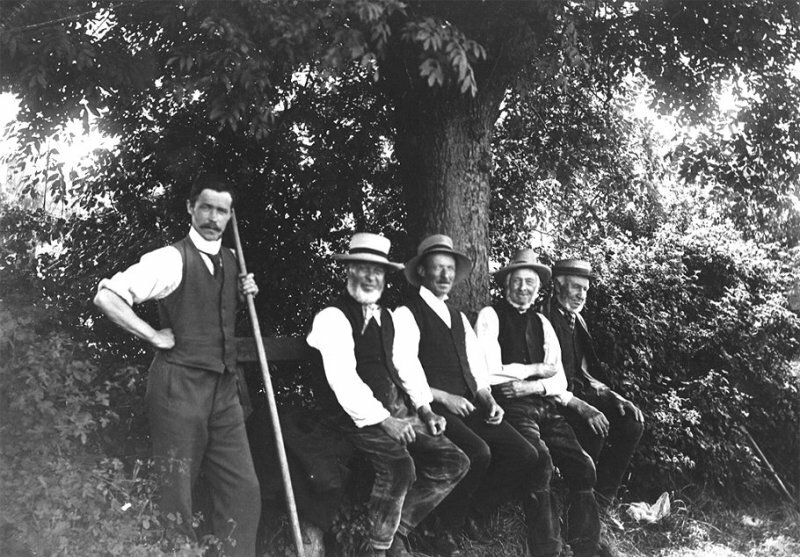 For many years this picture was used by the hayter Company to advertise their mowers. 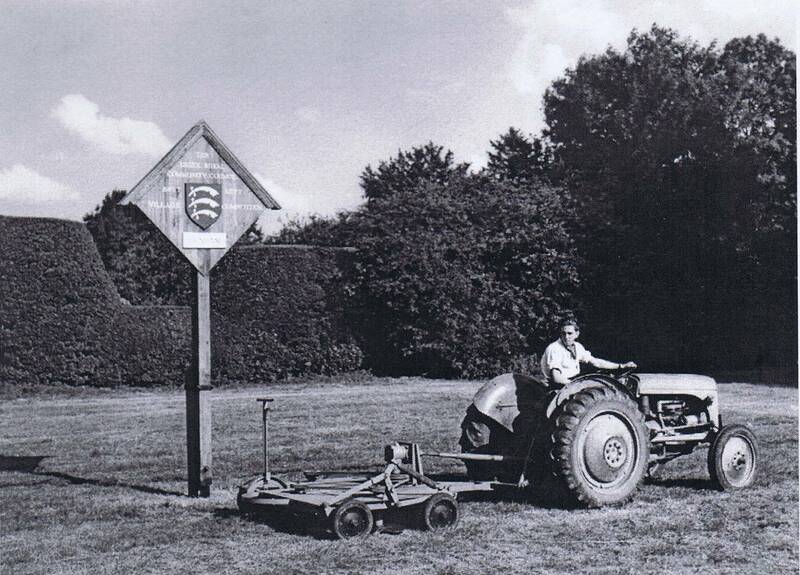 In return, due to some smart negotiating by Jim Smith, Henham was given the mower to cut the village greens. 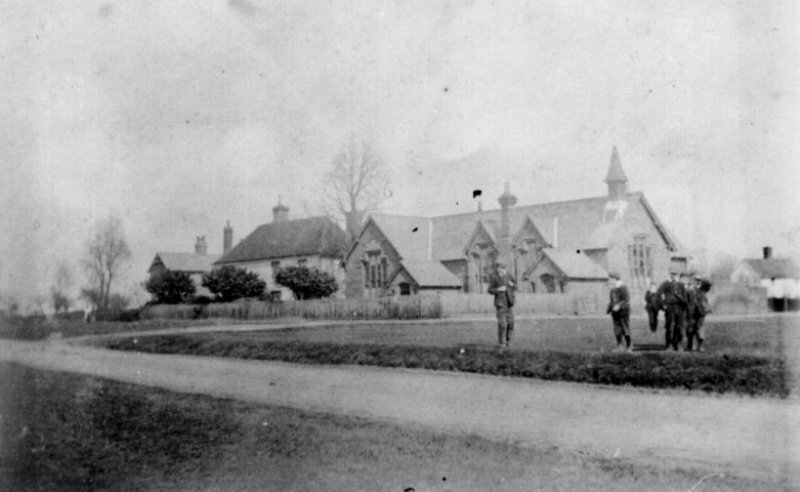 1890s Pledgdon Hall. Standing outside are Mr & Mrs Newport who were the tenants at the hall until 1893. They later emigrated to Australia. 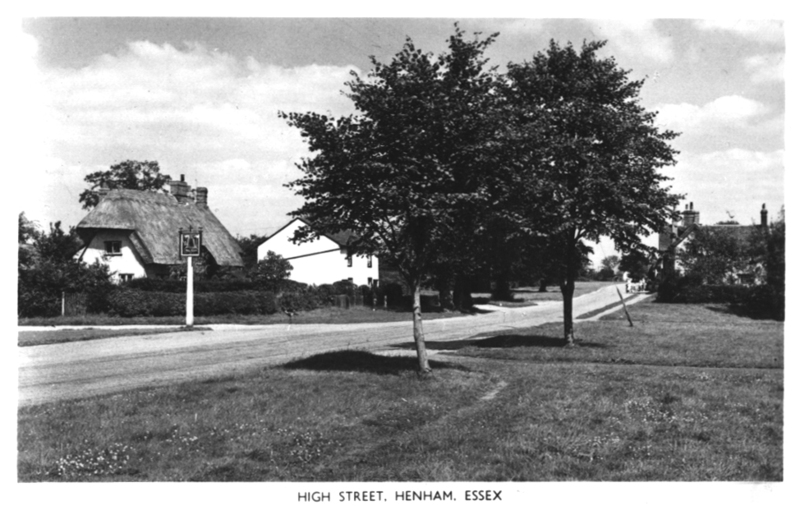 This photograph and several others which appeared in 'Memories of Henham' were sent over from Australia by the Newport's descendants. Since the first Norman stronghold was built there there have been a succession of houses - most of the present building is 17th century but parts date from the 15th century. 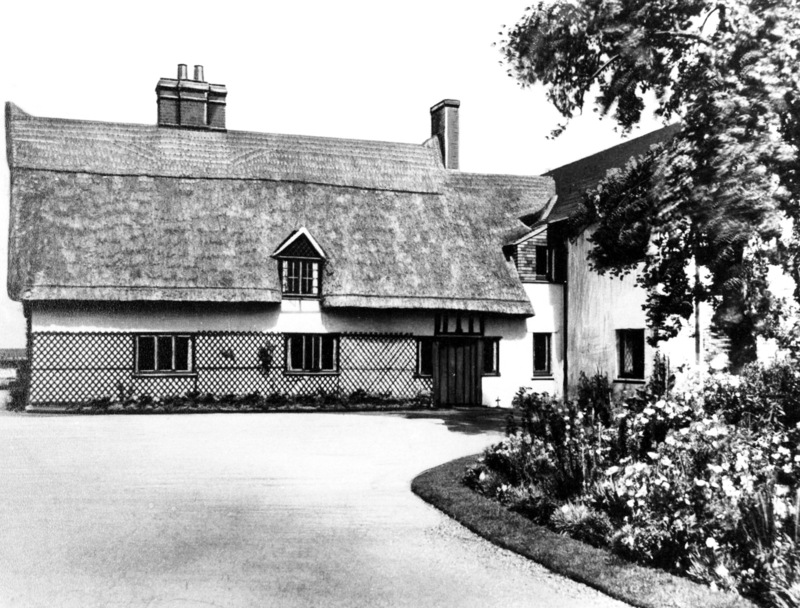 The original house is mentioned in the Domesday Book. From 1919 it has been the home of the Smith Family. 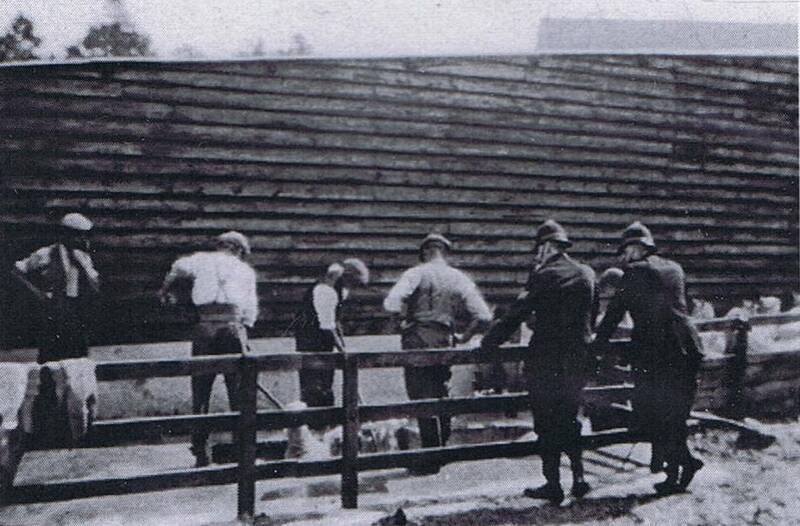 The 'pre-fabs', School lane. 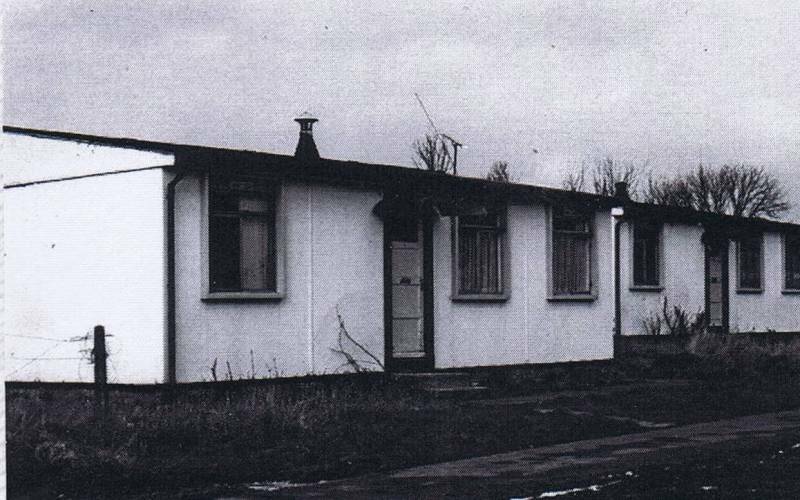 Built after the Second World War for emergency housing, they were still being used by Essex County Council for short-term accommodation until they were demolished. The first came down in 1975. More were demolished in '84 and the final two, pictured above, were flattend in 1991.